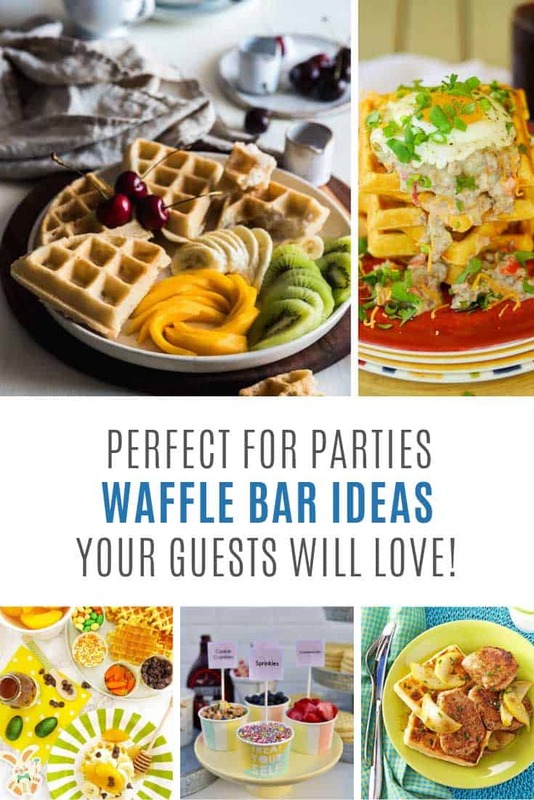 These waffle station ideas will help you set up your own party bar, from how to keep your waffles warm to a waffle toppings list, we’ve got the answers! 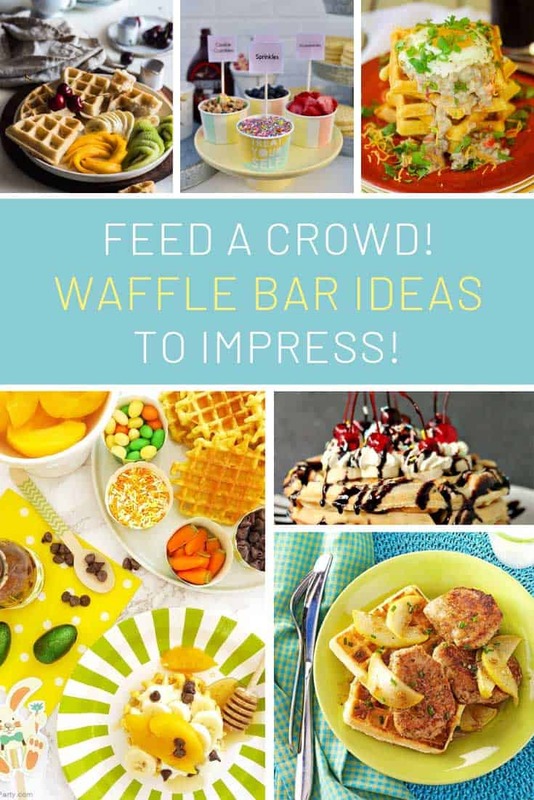 We rounded up some food station ideas for parties and some of you have been asking us for more specific waffle station ideas so here they are! 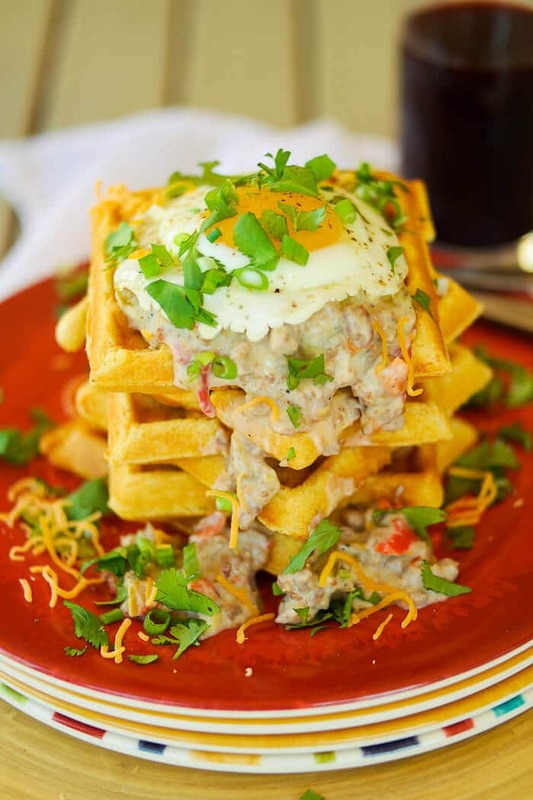 Whether you’re planning a breakfast brunch, a baby shower, or your kids are just having a sleepover a waffle bar is a fun way to feed a whole group at the same time. 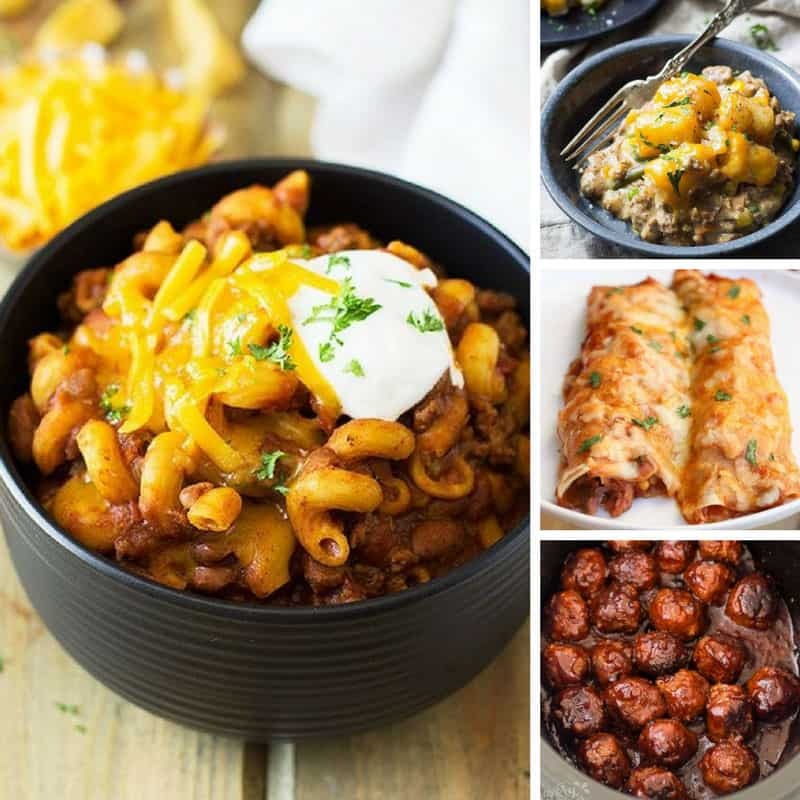 And you don’t have to just have sweet toppings either, throw in some savory choices and those waffles are an easy way to serve dinner! How you serve your waffles depends on the size of your party. If you’re just having a kid’s sleepover then go easy on yourself and pick up some frozen waffles from the store. 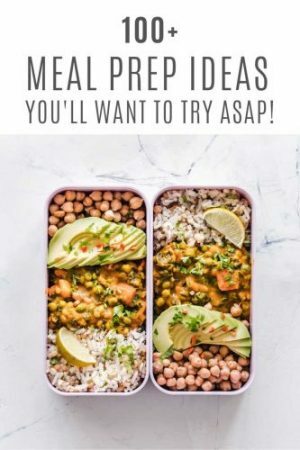 Then you just heat them up when the kids are ready! If you’re throwing a baby shower for a friend you might prefer to make your own homemade waffles, which you can freeze ahead of time. 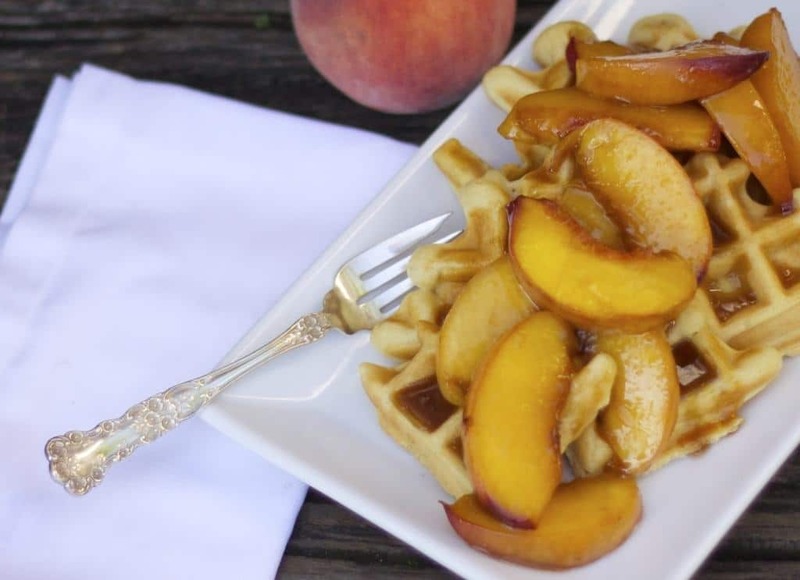 If you’re planning on having a waffle bar at your Wedding check with your caterers to see if they can man the station for you, or see if there is a local “waffle station” company who provides services in your area. 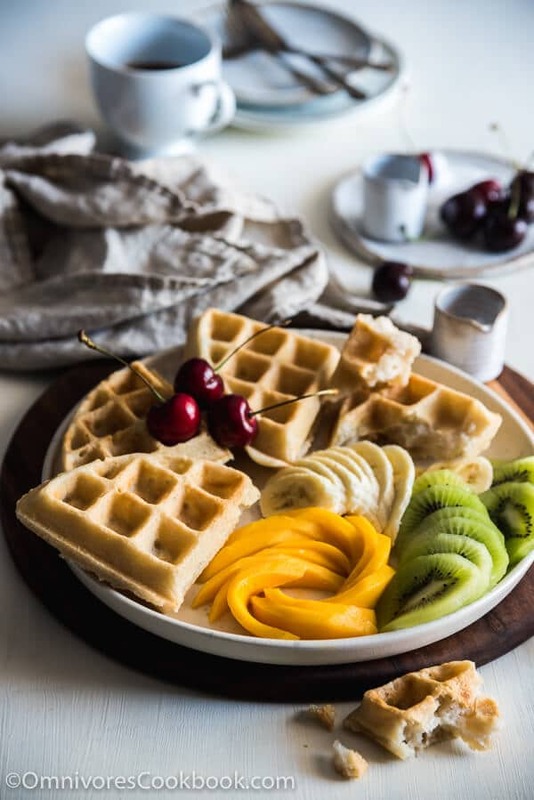 You could use a waffle maker right there at your bar to serve piping hot waffles but the easiest thing is to serve pre-cooked warm ones so your guests don’t have to hang around waiting for them to cook. 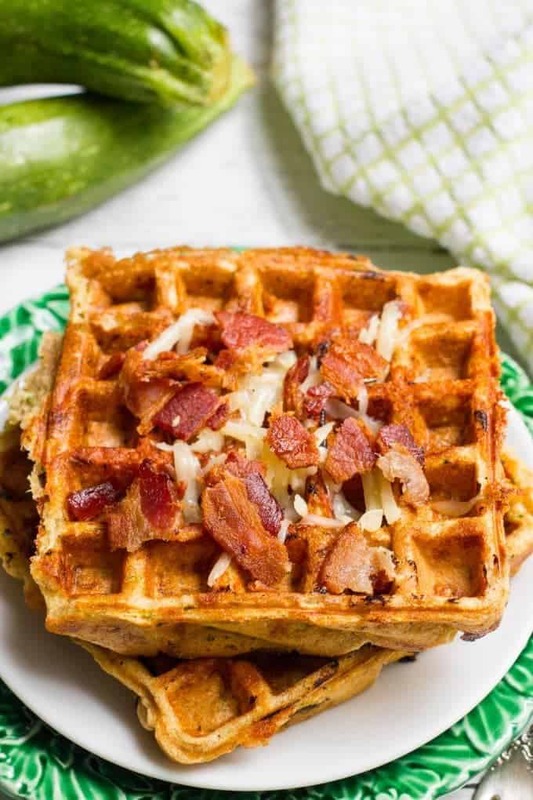 If you use frozen waffles (store bought or homemade) pop them in the over at 200 degrees to warm them up and then lay them out on baking sheets covered with paper towel. 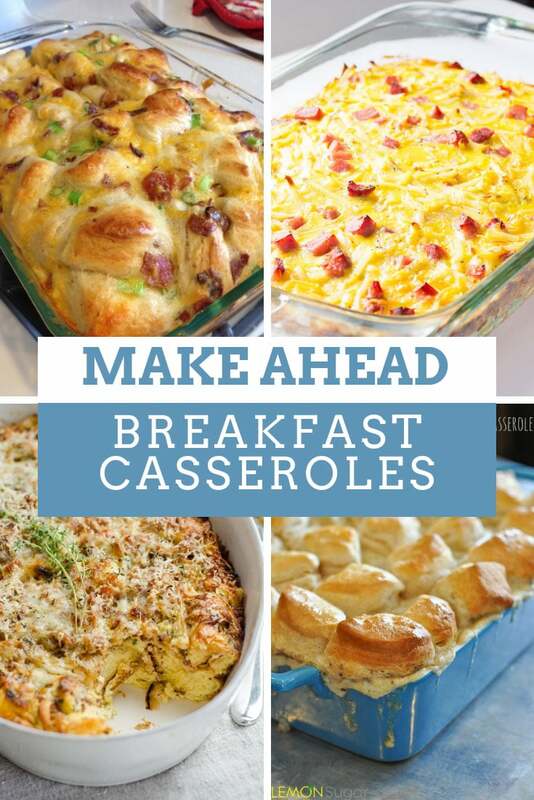 Layer up your trays and they should stay warm for about two hours. If you make your waffles fresh in a waffle iron you can follow the same process, just skip the oven part. What do you need for a waffle bar? If you’re putting together your own waffle bar you’re going to need lots of bowls for the toppings. If it’s a low key affair then just raid your kitchen cabinets and bring out everything you have, even if its mis-matched. If you want something more co-ordinated you can order bowl sets from Amazon and they’re not too expensive. You can choose colors to match your party decor. 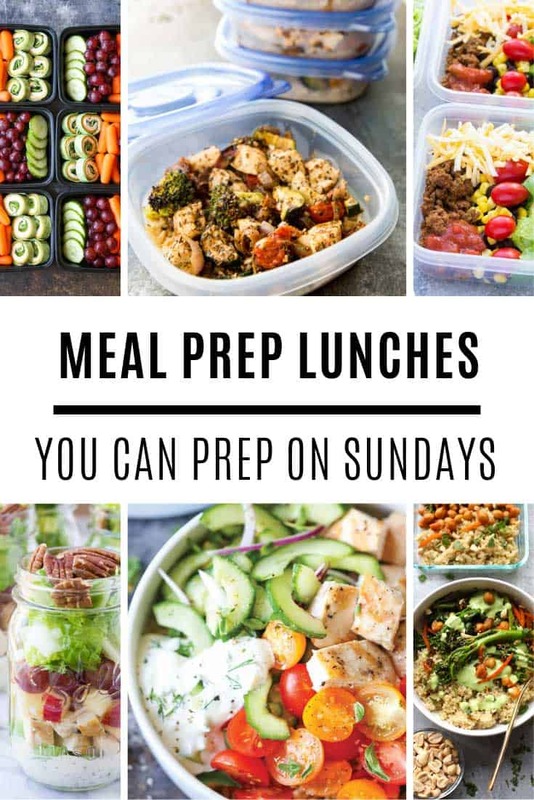 Or for a vintage theme why not hit the local thrift store or flea market and see if you can find serving bowls to use. If you’re just planning a small scale waffle station for a sleepover, or a family brunch you could even use cute popcorn favor boxes to set out the toppings. 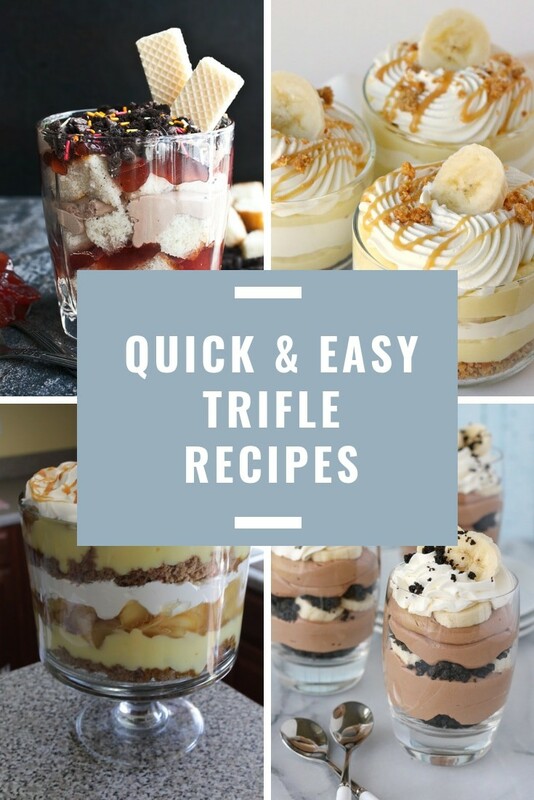 You’ll also need plates for guests to make their waffle creations on, and serving spoons and flatware. Oh and lots of napkins because waffles can be messy to eat! 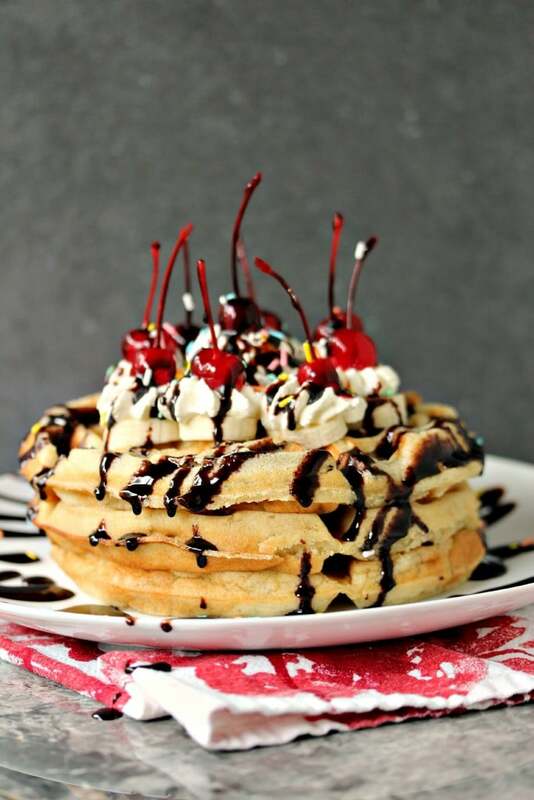 What are good toppings for waffles? 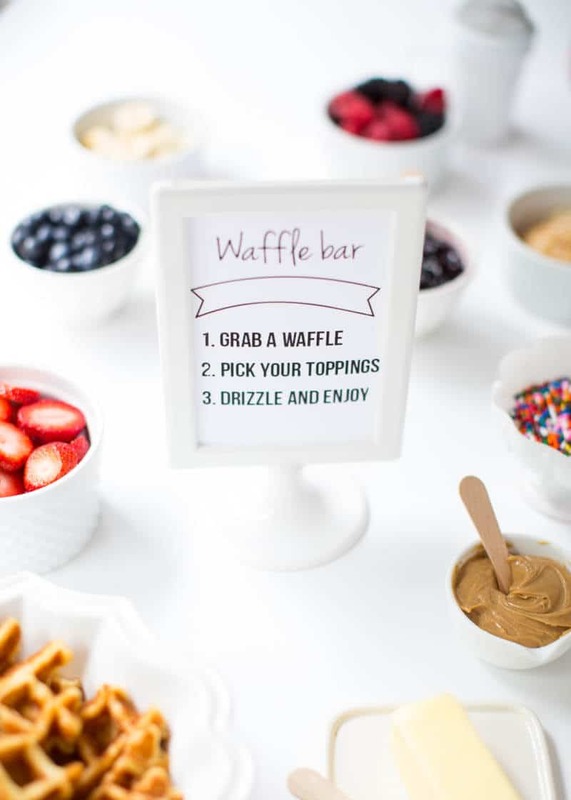 Whether your waffle station is for a baby shower, a birthday brunch, or for your kids on a sleepover it’s good to have some little printable signs to let guests know what they need to do! This waffle bar sign printable is cute, I love step 3… drizzle and enjoy! 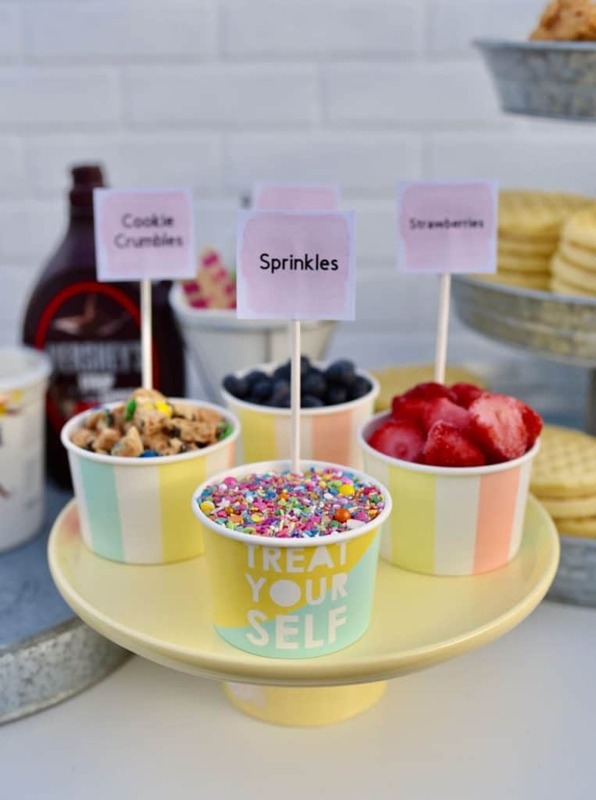 These cute waffle bar printables are a great way to let your guests know what each of your toppings are. More waffle station ideas to inspire you! 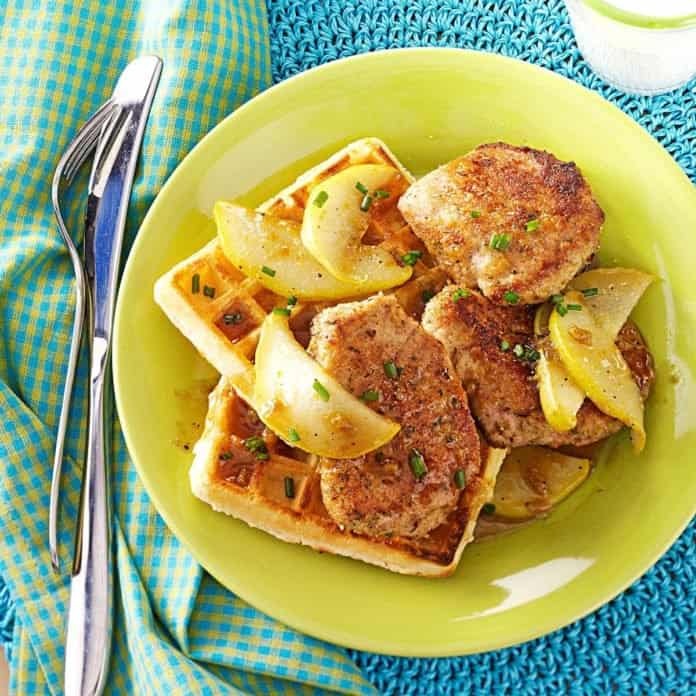 You don’t have to save waffle bars for parties and get togethers, they’re also a lovely way to serve brunch to your family. 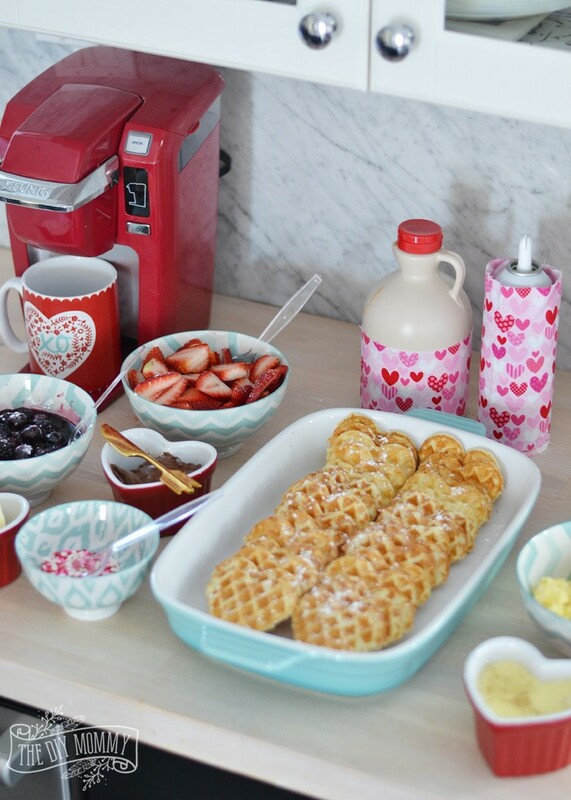 I love this Valentine’s Day station with the heart shaped waffles – just perfect to show your kids and your hubby how much you love them! 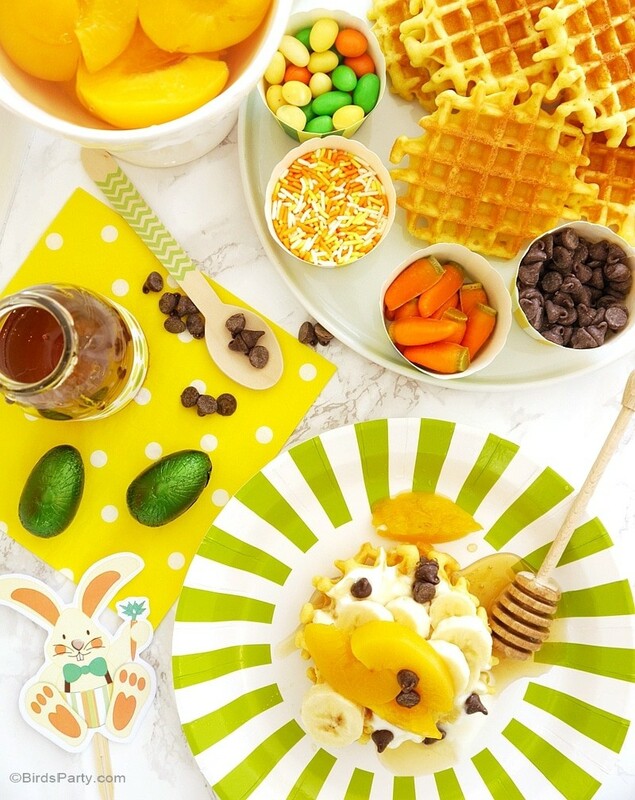 How about an Easter themed waffle bar? Complete with cute little bunnies!